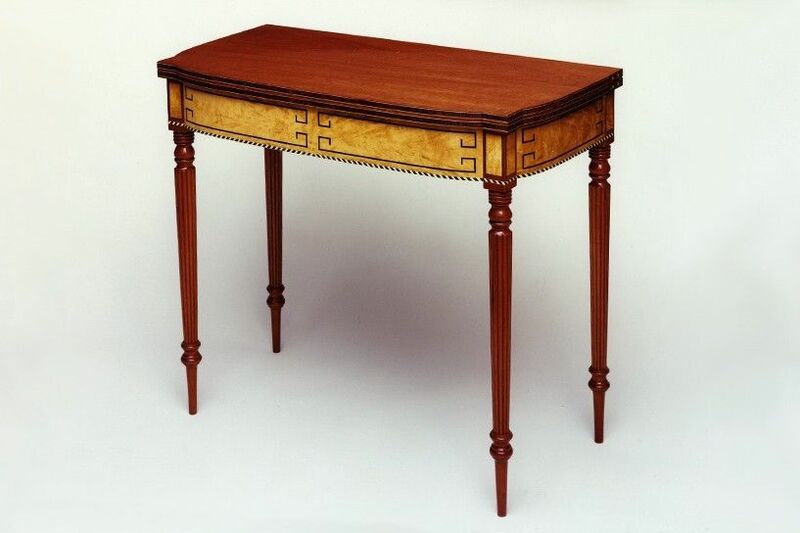 Federal Sheraton style reproduction card table. A similar example is in the Rundlet May house in Portsmouth, New Hampshire. Materials are mahogany, crotch birch, and dark and light inlays.